When a mom-to-be was having a lot of peppermint milkshake cravings, a few friends and I threw her an ice cream themed shower at a local diner. In keeping with the retro look of the restaurant, I made the invites look like little candy/toy packages. One insert had all the details; the other was a response card that let guests pre-order their milkshake flavor. 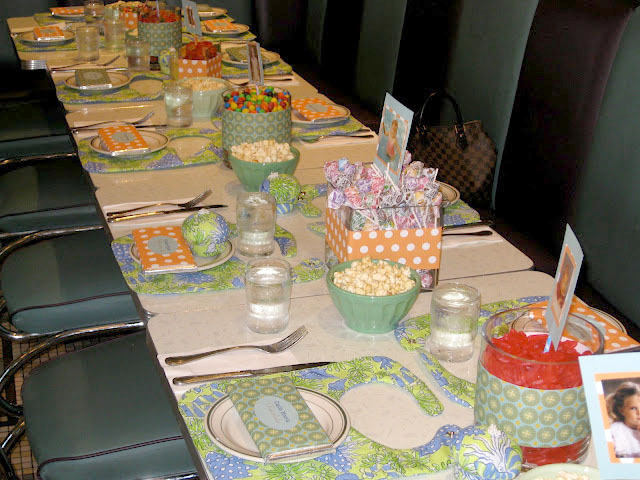 The table didn’t have a ton of room for decorations, but the group created this adorable spread with paper-wrapped vases of candy and photos of the mom and dad as kiddos. 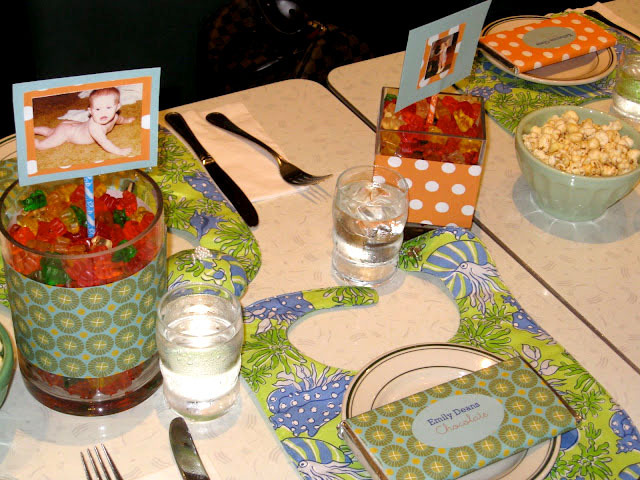 My super sewer mom stitched up bibs for each guest, which we used as placemats. Oversized candy bars served both as namecards and to help the waiters identify which pre-ordered shake went with each guest (flavor picks were listed below each person’s name). All in all a super sweet throw back party. This entry was posted in Invites & announcements, Stuff for boys, Stuff for girls and tagged baby shower, milkshake, retro. Bookmark the permalink.